Edited on the I phone? @torags. This is not a composite. Here are 2 more examples from different angles. These 2 were edited in lightroom. The rainbows are very real. The second last one is one for ages! A post card! So many elements working in harmony. 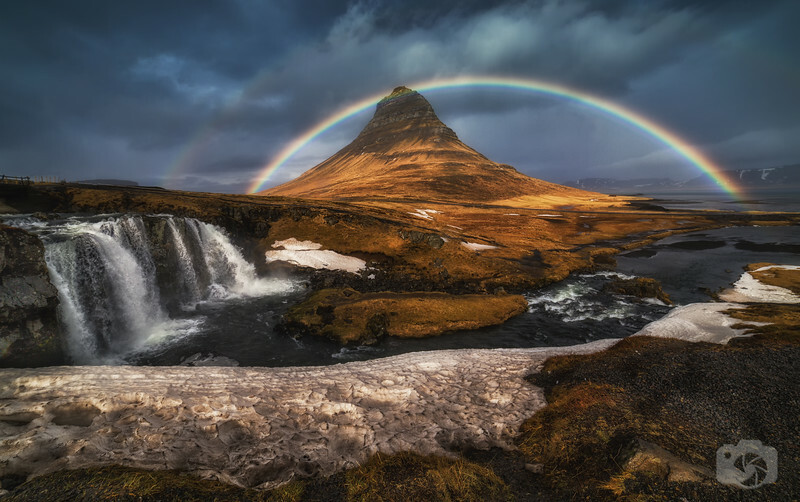 One white leading line of water leading to mountain and whilte leading line of foreground snow leading to rainbow. I would have slowed down shutter just a tad to take it to next level of dreaminess. 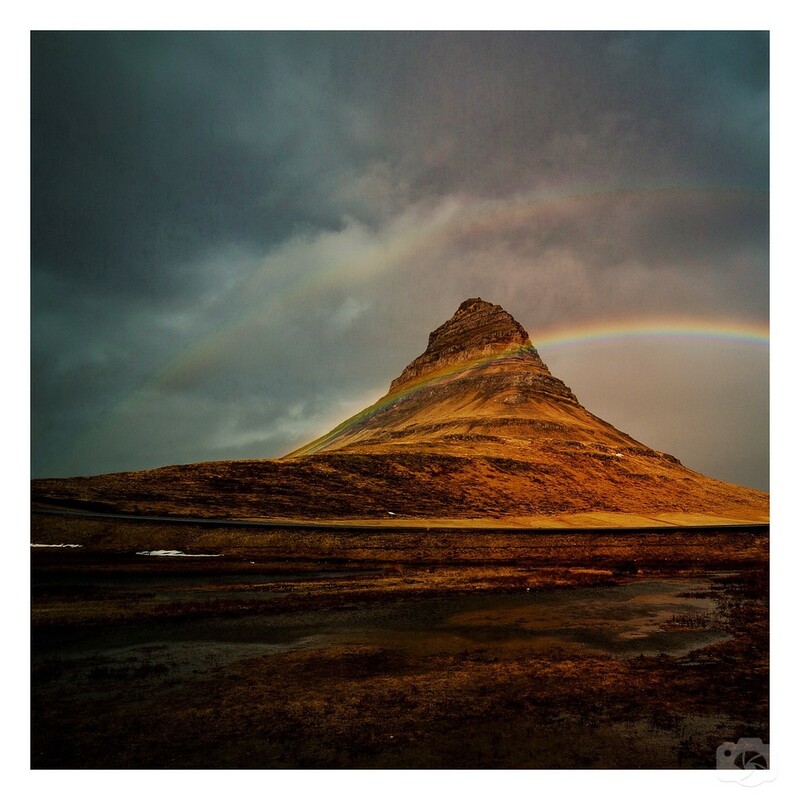 The image of the double rainbow surrounding Kirkjufell is stellar. I would try to blur, soften the water in the falls a bit too, or shoot it at the time with a longer shutter speed. So, the idea was to set up my tripod and use my 10 stop ND, but to get to the waterfalls, you need to hike from the road. When I saw the rainbow, I jumped out of my car and ran leaving everything in the car but my camera, because as you know, rainbows don't last forever. #2: What, no unicorn? I want a unicorn. Seriously, awesome shot. Just awesome. Love the sky in #1 but I really think #2 is my overall favorite. It has so much going on at once that it is just amazing. A photographer sees and captures a scene like that and they remember it for the rest of their lives. That being said, my 3 year old great nephew would vote for the last one, hands down! Here is another another angle from the same shoot. That second shot is absolutely breathtaking. Surreal. I missed this thread when you first posted. Incredible images (No.2) with or without the dinosaur. Great shots! 2 is beautiful, but I think I like 1 more.